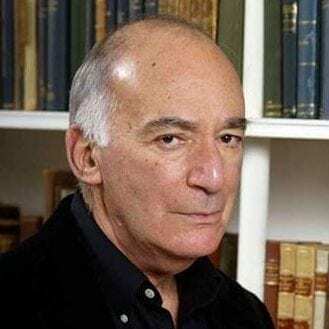 Michael Fried is best known as an art critic and art historian though he is also a literary cri­tic/his­torian and a poet. As an art critic he is closely associated, first, with high modernism as practiced by artists such as Morris Louis, Kenneth Noland, Jules Olitski, Frank Stella, and Anthony Caro, and more recently with photographers such as Jeff Wall, Thomas Struth, Thomas Demand, Luc Delahaye, and James Welling, the sculptor Charles Ray, the video artists Anri Sala and Douglas Gordon, and the painter Joseph Mari­oni (by no means an exhaustive list). As an art historian he is best known for his trilogy of books on French pain­ting and art criticism from the middle of the 18th century through the advent of Manet and his generation in the early 1860s: Absorption and Theatrical­ity: Painting and Beholder in the Age of Diderot (1980), Courbet's Realism (1990), and Manet's Modernism, or, the Face of Painting in the 1860s (1996). But he is also the author of Realism, Writing, Disfiguration: On Thomas Eakins and Stephen Crane (1987), Menzel's Realism: Art and Embodi­ment in Nineteenth-Century Berlin (2002), Why Photography Matters as Art as Never Before (2008), The Moment of Cara­vaggio (based on the Andrew W. Mellon Lectures in the Fine Arts; 2010), Four Honest Outlaws: Sala, Ray, Marioni, Gor­don (2011), Flau­bert's "Gueuloir": On Madame Bovary and Salammbô (2012), and Another Light: Jacques-Louis David to Thomas Demand (forthcoming 2014). 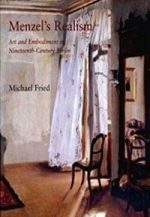 In addition his early art criticism is gathered in Art and Objecthood: Essays and Reviews (1998). He is currently completing a book on Italian painting between 1610 and 1630, to be called After Caravaggio. He is also the author of several books of poems including To the Center of the Earth (1994) and The Next Bend in the Road (2004). A new collection, Promesse du Bonheur, awaits a publisher.